You may know them from "Teach Me How To Jerk." You may know them from their latest project, the solid, 420 mixtape titled Good Vibe Tribe. Either way, you should know them by now. The duo, comprised of Oktane and Price, doesn't appear to be going anywhere soon, so if you're not acquainted, we'll bring you up to speed. Audio Push has worked with the likes of Casey Veggies, Rick Ross, Vince Staples, Kid Cudi, Juicy J, Tech N9ne, and Hit-Boy, whose label they signed to in 2013. In addition to their guest appearances, Audio Push has released nine mixtapes. They also have their debut full-length effort on the way, so we're super excited to see what they do with a proper release (although their tapes are legit enough for us). Without further ado, let's take a look at their ten essential tracks. Audio Push makes some tracks that are best suited for the club, and others that are better suited for lounging. This one is on the hyphy side of things due to boastful bars and some Hit-Boy flavor. A simple beat and some tongue-twisting verses makes "Wassup" a hit. Check out how Oktane and Pricetag duet on these bars. You can't have a list of essential Audio Push tracks without including "Teach Me How To Jerk." It might not be the greatest hip hop song of all time, but it certainly helped to put the duo on the map. Atop some Young Chop production, these four killer MCs come with their hardest bars. 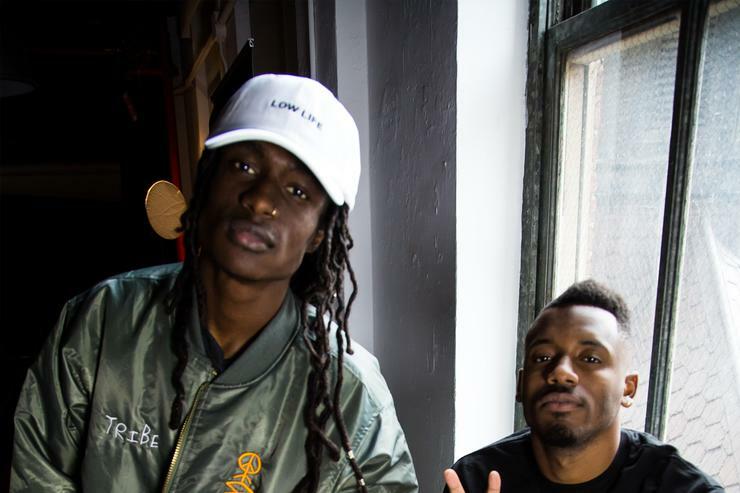 Our subjects enlisted Joey Bada$$ to go in over some boom-bap Hit-Boy production. It's got a dark, Wu-Tang kind of vibe, and is most definitely an essential cut for the hip hop heads. The song is called "Space Jam" and it features Lil Wayne. Did you expect anything besides an ultimate banger? The duo play a couple of mechanics in the "Quick Fast" music video. Wale joins the party in one of those classic car scenes. If you're looking for one of those midtempo club joints, this is it. Along with T.I. and a nasty beat, Audio Push crafted a special tune with "Theme Song." If you dig the modern rap sound, you'll love this one. Here's another one off the newest effort Good Vibe Tribe. With another great duo in tow, Vince Staples and Casey Veggies, the four of them created a solid cut.